Earn more money with an associate degree from one of Maryland’s best career colleges. Check out school rankings by alumni salaries. Want to find the community college in Maryland with the highest-paid alumni? Of the community colleges in Maryland, contenders for highest post-graduation salary include Montgomery College in Rockville, Anne Arundel Community College, and Allegany College of Maryland. 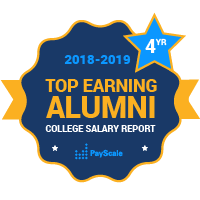 The best career colleges in Maryland in terms of having the highest-paid graduates include Allegany College of Maryland, The Community College of Baltimore County, and Prince George’s Community College . The best median mid-career salary often goes to Howard Community College. And as grads from Howard Community College are likely to make the most compared to graduates from other 2-year community colleges in Maryland, they are also likely to work in fields they find meaningful; About 70 percent say their work makes the world a better place. Many graduates of Maryland community colleges go on to work in industries such as Aerospace and Defense; Energy and Sustainability; Life Sciences; IT and Cybersecurity; and Manufacturing.